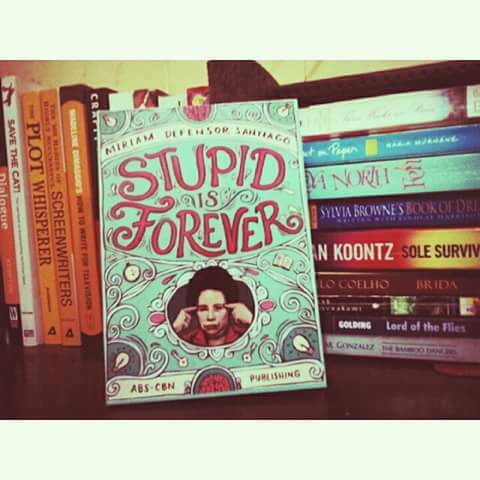 STUPID IS FOREVER is Miriam Defensor Santiago’s collection of jokes, one-liners, pick-up lines, comebacks and speeches delivered and or curated by our favorite senator herself. Bibliophiles or not, she got them to read the book. It is now one of the most top selling local books in the Philippines that even beat famous pocket books series and the emerging romantic themed comic books. I do not even have to tell anyone to read this book, the fact that it’s Miriam’s is more than enough for an advertisement. This only proves that Senator Miriam is indeed an influential woman. Young or old, everyone respects Miriam. She is someone we all should look up to. This entry was posted in Book and tagged books to read, Miriam Defensor Santiago, Stupid Is Forever. Bookmark the permalink.